NAKMAS Newsroom | Bethnal Green Stairway to Heaven – Tube Disaster Survivors NEED YOUR HELP! For several years a Charity Trust of individuals including Alf Morris, Former Chairman and survivor of this disaster, has been tirelessly campaigning and fundraising for the 500,000GBP needed to complete a beautiful Stairway to Heaven Memorial to the memory of the 173 people of the community of Bethnal Green who lost their lives that day on the stairway leading to Bethnal Green underground station. It will also remember not only the survivors, many of whom lost friends and family in the disaster, but also the emergency and support services; the firemen, policemen, ambulance crews, wardens, clergy and hospital staff who helped the injured. The Charity are raising the funds required to design, build and maintain the memorial which, it is hoped it will be unveiled as soon as possible, bearing in mind that time is not on the side of the survivors. Mr Morris, as a child, was fortunate to be carried out of the tube station and taken to safety. Secretary to the Charity, Sandra Scotting, lost her cousin and grandmother and other family members were injured. 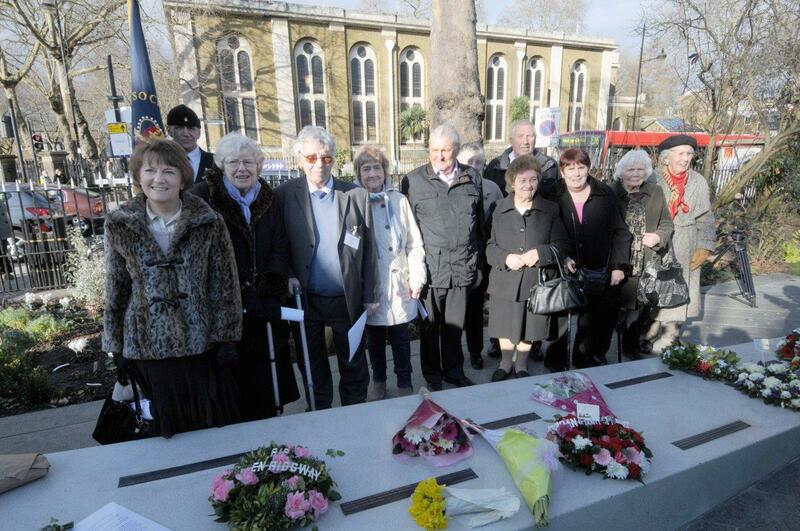 Hundreds of current and former residents of Bethnal Green and its surrounding areas of East London were affected by this event and are keen for the memorial to be completed while there are living survivors. Many of them are now in their nineties and in ill health but still they stay resolute that they will see the memorial finished. Mrs Scotting said: We really need to finish this memorial before we lose any more of the survivors. It must not be the ‘forgotten disaster for much longer’. Current Chairman, Mike Pattison, said the Charity now needs to raise a further 40,000GBP in order to complete the project quickly. We urge businesses to step up to the plate and donate 200GBP to sponsor a conical and have their name and website details put against one of the victims on our website and facebook pages. Please help us quickly. The mission has attracted celebrity support including Bucks Fizz member and TV presenter Cheryl Baker; and Ground Force and DIY TV presenter Tommy Walsh, who are both Patrons of the charity. Other celebrities who have been involved include EastEnders’ Patsy Palmer, whose brother Harry is a Patron, London Mayor Boris Johnson, a number of MPs and of course the East London Pearly Kings and Queens. The Bethnal Green East London Facebook Group, and its founder, formal Bethnal Green resident Joe Ellis, have been rallying its members. Recently two bereaved sisters donated 200GBP in their mother’s memory and more donations have been slowly coming in from the group. Time is running out for the survivors who would dearly love to see the Memorial completed, and we would encourage local businesses and anyone else interested to purchase a conical and be a part of the permanent memorial in Bethnal Green for future generations to enjoy and remember. For more details visit the website http://stairwaytoheavenmemorial.org/ You can call Treasurer, Derek Spicer, on 07722 162168 or email info@stairwaytoheavenmemorial.org to donate or via the website. The Facebook group can be accessed via http://www.bethnalgreen.info Or send a cheque payable to Stairway to Heaven Memorial and post to Derek Spicer, 28 Priory Close, Pilgrims Hatch, Brentwood, Essex CM15 9PZ.